Brent Hubbs | Clarksville Sports Network - Clarksville Tennessee's most trusted source for sports, including Austin Peay State University. 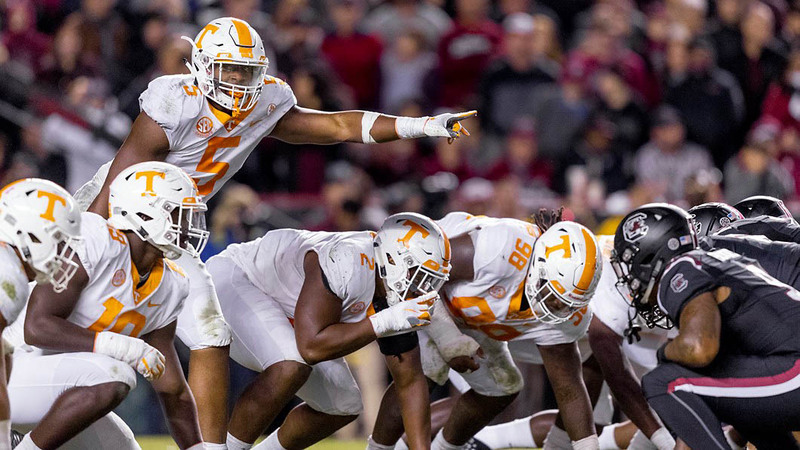 Nashville, TN – The Tennessee Vols Football team wraps up its regular-season schedule on Saturday with an in-state showdown at SEC East rival Vanderbilt in what will be a battle for bowl eligibility. Kickoff for Saturday’s game at Vanderbilt Stadium is set for 3:00pm CT on the SEC Network. The game can also be streamed live on WatchESPN.com or on your phone, tablet and other electronic devices via the ESPN app. Dave Neal (play-by-play) and D.J. Shockley (analyst) will have the call with Dawn Davenport reporting from the sidelines. Knoxville, TN – Coming off a marquee win over No. 11 Kentucky last Saturday, Tennessee will look to win its third straight and become bowl eligible this Saturday as Missouri visits Neyland Stadium. 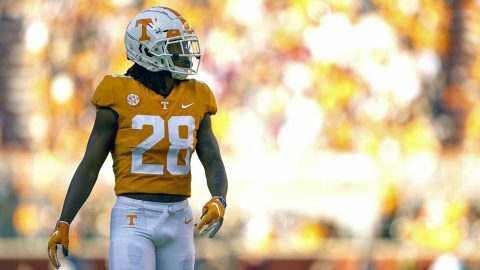 Kickoff for UT’s final home game of 2018 is set for 2:30pm CT on CBS. Brad Nessler (play-by-play) and Gary Danielson (analyst) will have the call with Jamie Erdahl reporting from the sidelines. Vol Network radio affiliates will have a live audio broadcast with Bob Kesling, Tim Priest and Brent Hubbs. Sirius (Channel 94) and XM satellite radio (Channel 192) will also carry the game. 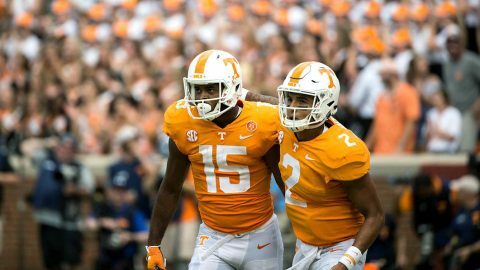 Saturday will also be Senior Day for the Vols as they will honor their 13 seniors prior to kickoff. 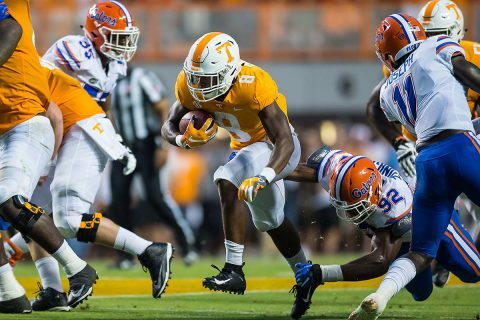 Knoxville, TN – It’s Homecoming Week for the Tennessee Volunteers as they get ready to host Charlotte on Saturday afternoon at Neyland Stadium. Kickoff for Saturday’s Homecoming game is set for 4:00pm on the SEC Network Alternate channel. Mike Morgan (play-by-play) and Barrett Jones (analyst) will have the call with Taylor Davis reporting from the sidelines. 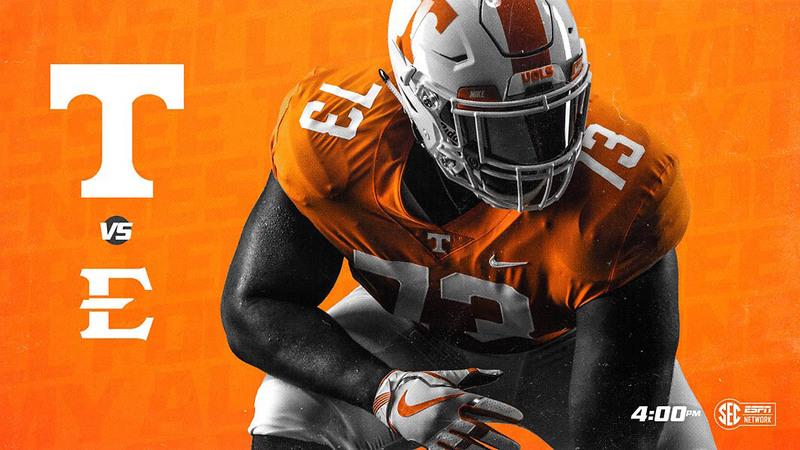 Vol Network radio affiliates will have a live audio broadcast with Bob Kesling, Tim Priest and Brent Hubbs. Sirius (Channel 94) and XM satellite radio (Channel 190) will also carry the game. Saturday will mark the first-ever meeting between UT and Charlotte on the gridiron. 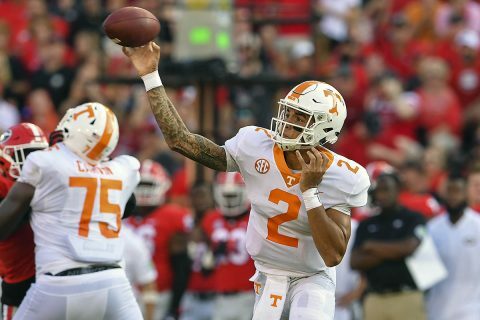 The Vols are 1-0 against teams from Conference USA this season after defeating UTEP, 24-0, on September 15th. Auburn, AL – Fresh off a bye week, Tennessee hits the road this weekend for a rare trip Auburn to take on the 21st ranked Tigers at Jordan-Hare Stadium. Kickoff for Saturday’s contest is slated for noon ET on the SEC Network with Dave Neal (play-by-play) and D.J. Shockley (analyst) calling the action in the booth while Dawn Davenport will be reporting from the sidelines. Vol Network radio affiliates will have a live audio broadcast with Bob Kesling, Tim Priest and Brent Hubbs. Sirius (Channel 81) and XM satellite radio (Channel 81) will also carry the game. Athens, GA – The Tennessee Football team will face its first true road test of the season when it heads to Athens to take on No. 2/3 Georgia between the hedges on Saturday afternoon, September 29th, 2018 at Sanford Stadium. Kickoff for Saturday’s contest is slated for 2:30pm CT on CBS with Brad Nessler (play-by-play) and Gary Danielson (analyst) calling the action in the booth while Jamie Erdahl will be reporting from the sidelines. Knoxville, TN – Tennessee Football will open Southeastern Conference play under the lights at Neyland Stadium on Saturday night as Florida comes to town for a clash between SEC East rivals. Kickoff for Saturday’s contest is slated for 6:00pm CT on ESPN with Adam Amin (play-by-play) and Rod Gilmore (analyst) calling the action in the booth while Quint Kessenich will be reporting from the sidelines. Vol Network radio affiliates will have a live audio broadcast with Bob Kesling, Tim Priest and Brent Hubbs. Sirius (Channel 103) and XM satellite radio (Channel 191) will also carry the game. 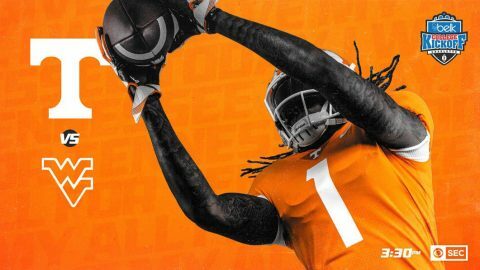 Knoxville, TN – Tennessee Vols Football will look to improve to 2-1 on the season this Saturday afternoon when the Volunteers host the UTEP Miners at Neyland Stadium. 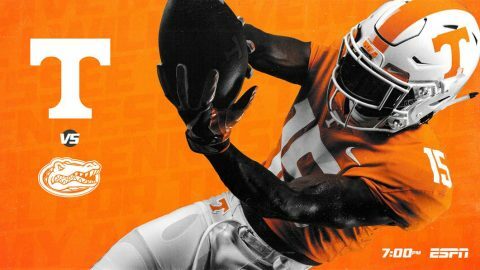 Kickoff for Saturday’s contest is slated for 11:00amn CT on the SEC Network with Dave Neal (play-by-play) and DJ Shockley (analyst) calling the action in the booth and Dawn Davenport reporting from the sidelines. Vol Network radio affiliates will have a live audio broadcast with Bob Kesling, Tim Priest and Brent Hubbs. Sirius (Channel 98) and XM satellite radio (Channel 190) will also carry the game. 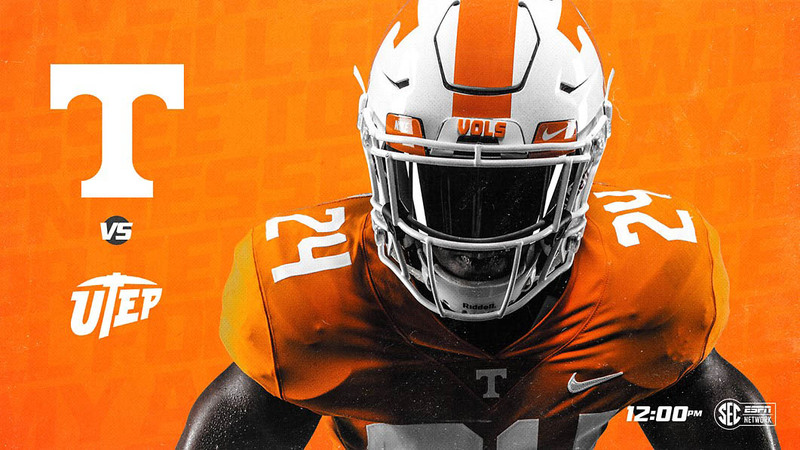 Knoxville, TN – Head coach Jeremy Pruitt will make his Neyland Stadium debut as Tennessee Vols Football welcomes in-state foe ETSU to Knoxville for its home opener on Saturday afternoon. Kickoff for Saturday’s contest is slated for 3:00pm CT on the SEC Network with Taylor Zarzour (play-by-play) and Matt Stinchcomb (analyst) calling the action in the booth and Kris Budden reporting from the sidelines. 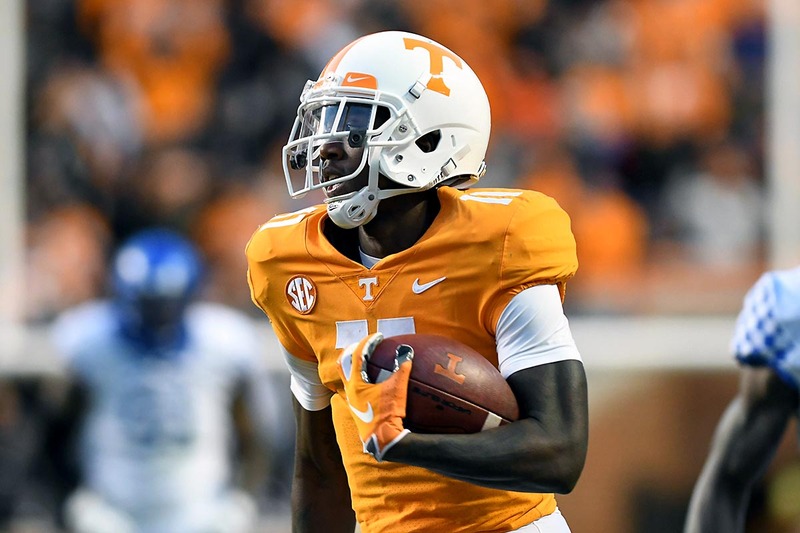 Vol Network radio affiliates will have a live audio broadcast with Bob Kesling, Tim Priest and Brent Hubbs. Sirius (Channel 113) and XM satellite radio (Channel 190) will also carry the game. Knoxville, TN – Tennessee Vols Football will open its 2018 campaign on Saturday, September 1st, 2018 against No. 17/20 West Virginia in the Belk College Kickoff Game at Bank of America Stadium in Charlotte, NC. Kickoff for Saturday’s season opener is slated for 2:30pm CT on CBS with Brad Nessler (play-by-play) and Gary Danielson (analyst) calling the action in the booth and Jamie Erdahl reporting from the sidelines. Vol Network radio affiliates will have a live audio broadcast with Bob Kesling, Tim Priest and Brent Hubbs. Sirius and XM satellite radio will also carry the game on Channel 201.